Dennis Garboden co-founded Compass Senior Living in 2013. His career in Senior Housing began when he became an Administrator at a nursing home in 1992. He has been working for the greater good of elders ever since. His philosophy of encouraging our elders to live full lives and direct their own care endears him to both his co-workers and the residents he serves. Living in Tracktown, USA (also known as Eugene, Oregon) contributes to Dennis’ appreciation of running. As a former 800 meter track runner, he now enjoys running the occasional road or trail race. He and his wife Nancy, enjoy watching their son Gabe compete in his high school cross country and track teams. Dennis believes in surrounding himself with great employees that follow our True North philosophy of being guided by Goodness. Goodness can’t always be measured – but it can always be felt – and these are the people that Dennis chooses to guide our elders at Compass Senior Living. 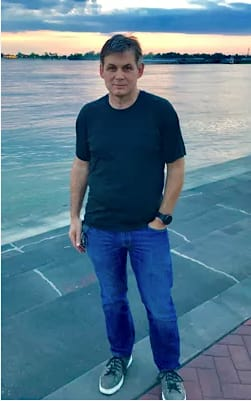 When not in the Compass office, Will can be found watching one of his three children’s sporting events or activities, or enjoying a walk or run with his wife, Christie, and their dogs, Gracie and Stella. He also volunteers on the board of Parenting Now!, a non-profit supporting families in early parenthood. Will believes that a group of people who work well together can achieve far more than the sum of their parts, and is proud to be a part of that kind of team at Compass Senior Living. 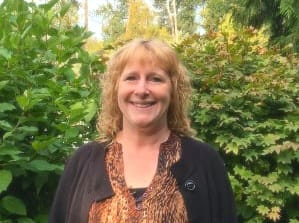 Jean is an elder advocate, and Eden Alternative™ educator with over 30 years’ experience in not-for-profit and for-profit health care organizations. 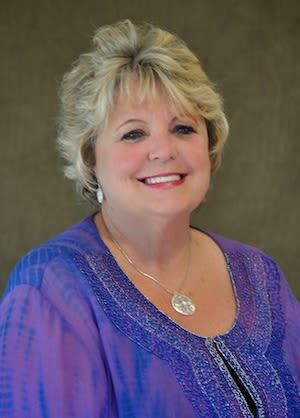 In the assisted living industry since 1999, Jean began as the Director of Marketing for a large senior housing company and later became the Chief Operations Officer for a senior housing company serving communities across the United States. 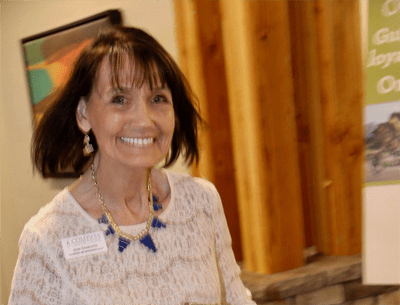 As a thought leader, Jean leads the development and implementation of innovative and unique marketing and resident life enrichment programing including the True North signature Dining experience. Jean lives in Las Vegas, Nevada where she volunteers with the Nevadans for the Common Good, advocating for caregivers and elders in southern Nevada. 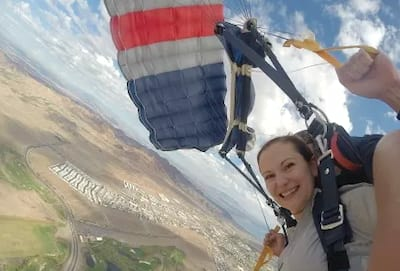 She spends her leisure time traveling to visit her grandchildren, and when at home enjoying the year-round outdoor weather with her husband Art, her dog Max, her cat Molly, and a 50+-year-old desert tortoise named Myrtle. Amira T. Fahoum, Director of Operations, Northwest Region, spent eight years working her way through a variety of positions for a national senior living management company before spreading her wings at an international not-for-profit association in the education technology field. While she gained valuable experience, she realized her true passions are in senior living. Amira is a graduate of the University of Washington and lives in Eugene, Oregon with her husband, Michael. When not working you’ll find her on the golf course, running, volunteering for road runs, working with college students as Co-Chapter Advisor for the U of O Evans Scholars program, or traveling around the world. Amira has a passion for experiencing everything life can offer and creating meaningful experiences for others. She’s happiest when she can make others smile. Her mission is helping elders be comfortable, have purpose and enjoy life to the fullest. Carrie became acquainted with senior living in 2000, when she helped coordinate the marketing of a new-build assisted living community in her hometown of Peru, Indiana. She eventually became the administrator of that same community, and has worked with seniors since. She is a graduate of Indiana University and holds a Bachelor’s Degree in Communications and a Masters in Liberal Studies with a focus on Gerontology. She is passionate about dementia education, keeping elders inspired and active, and preserving their stories through audio recordings. Besides her passion for elders, Carrie is a certified yoga teacher and fervently believes in the benefits of yoga for people of all ages. When not working or teaching yoga, Carrie enjoys running and often travels with family to run destination races. 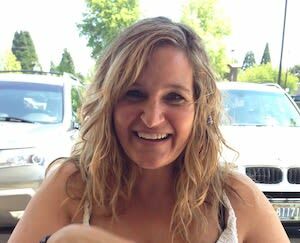 Carrie loves to laugh, have fun, look for reasons to appreciate, and express gratitude, and believes the more we do all of those things the more opportunities the universe gives us to experience them. Candis started working with seniors in 1995 as a floor nurse and has spent her career since then working with elders in many different capacities. The best part of this work for her is connecting with residents and seeing them flourish in life when they thought life would be over because of leaving their homes. She loves having the opportunity each day to give back to them what they have given to so many others. 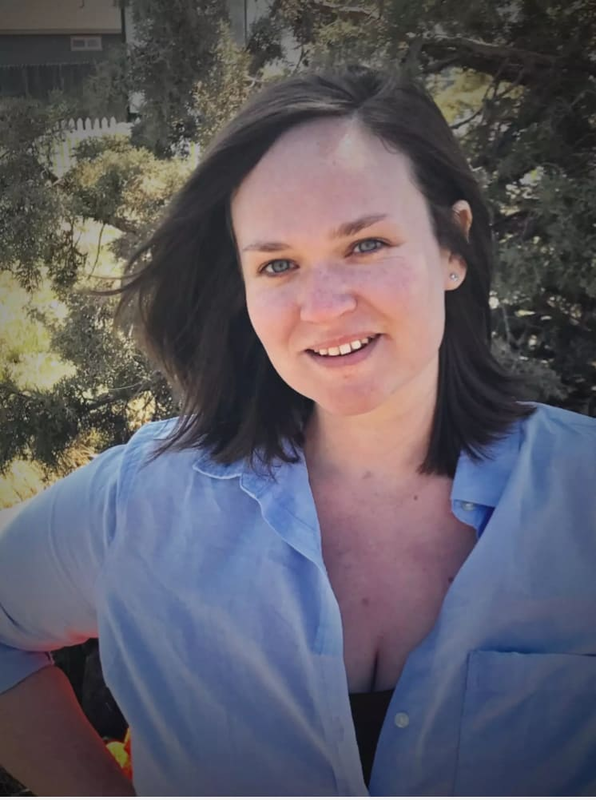 In addition to a career as a nurse, Candis also holds a bachelor’s degree in Psychology, and will be launching into a master’s degree Program in Gerontology in 2019. Candis’s career with Compass Senior Living began in 2014 as an Administrator for Sundial Assisted Living in Redding, California. 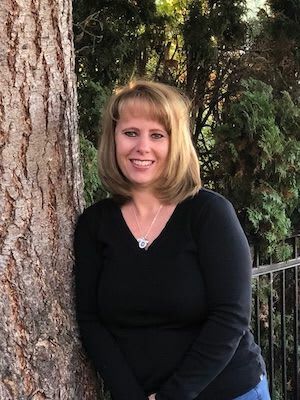 In 2015 Candis was promoted to the Director of Operations for the SW Region and utilized her years of experience as an Administrator to provide support to communities in California, Arizona, and New Mexico. 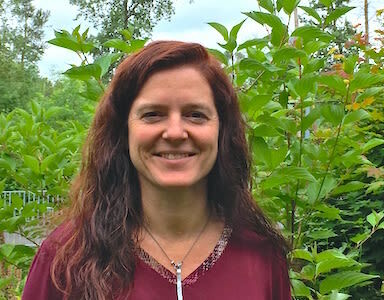 Now, Candis has moved out of her role as Director of Operations and will provide support to all 34 Compass Communities in her position as Quality and Wellness Leader. 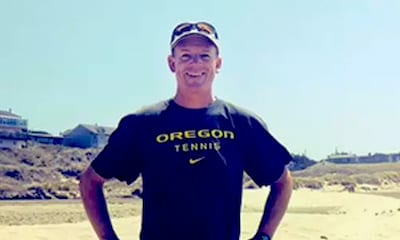 Matt’s career has spanned over 20 years in the multi-family Real Estate industry, building his own business for four years before moving to southern Oregon. Matt came into the senior living industry first as a Marketing Director, then as an administrator – then leading a successful Assisted Living and Memory Care development project from construction to opening and lease up in Central Point. In Matt’s free time he enjoys rafting, hiking, and spending good quality time with his daughters and wife. Andrea developed her passion for senior living after having to navigate the world of assisted living for her own family member. Andrea has held numerous leadership positions within the senior living industry in the southeast united states and in the Pacific Northwest. Andrea received her BS in Hotel Management from Johnson & Wales University and a MS in Gerontology from University of Massachusetts Boston. Andrea states that “Serving seniors in this capacity has proven to be my life’s purpose” and “can’t wait to welcome future residents to their new home”. When not working, Andrea can be found walking around with her little dog, Miller, or exploring all that Oregon has to offer! Sandy Harmon, Senior Accountant, is new to the senior living field, but not to accounting. She loves numbers and the stories they tell about how a business is doing. She enjoys people and combining the two at Compass, she feels, is an excellent setup for her best work! Sandy has her BS in Accounting from the University of Oregon and is also a Certified Management Accountant. Sandy chairs the Board of Directors for the EWEB Employees Federal Credit Union—where she used to work and wanted to continue to stay connected to that excellent group of people. When she’s not working, Sandy works her creative side playing the piano and quilting. She lives in Eugene and has two great teenagers. Sandy believes in treating others the way you want to be treated. She appreciates the camaraderie all around her, the pictures of seniors on the home office walls and enjoys reading the community newsletters. “This is real, and it’s good!" Cindy’s first job out of high school was as a C.N.A. in skilled nursing and she now returns to the senior living field after having earned her MBA from Northwest Christian University. She joined our team because she saw a genuineness in our people and she knew that her friendly demeanor and formidable organizational skills could help us better serve our communities. Rayanon is a self-professed creative. She is a professional, resourceful, and friendly presence at the front desk. She believes in going the extra mile because it is never crowded! Rayanon’s many talents include painting in her studio, sketching and identifying plants and pressing flowers while hiking and biking in the Oregon outdoors. She’s earned the ACE Art Career Education Certification and is a volunteer for S.A.S.S (Sexual Assault Support Services) and O.A.A.S.I.S (Oregon Abuse Advocates & Survivors In Service), as a Victim’s Advocate Volunteer at Angola State Penitentiary. Joining the Compass team in 2019 as a Human Resource Generalist, Laura is a HR professional with over 15 years’ experience. She has prior experience with senior living, semiconductor manufacturing, cyber security/SaaS, and in the healthcare industry. Laura has her B.S. in Business Management from Dickinson State University located in North Dakota, and maintains her professional HR credentials through both SHRM (SHRM-CP) and HRCI (PHR). When not working in her HR role and improving the lives of employees, Laura enjoys spending time with her husband, Scott, and their four children. 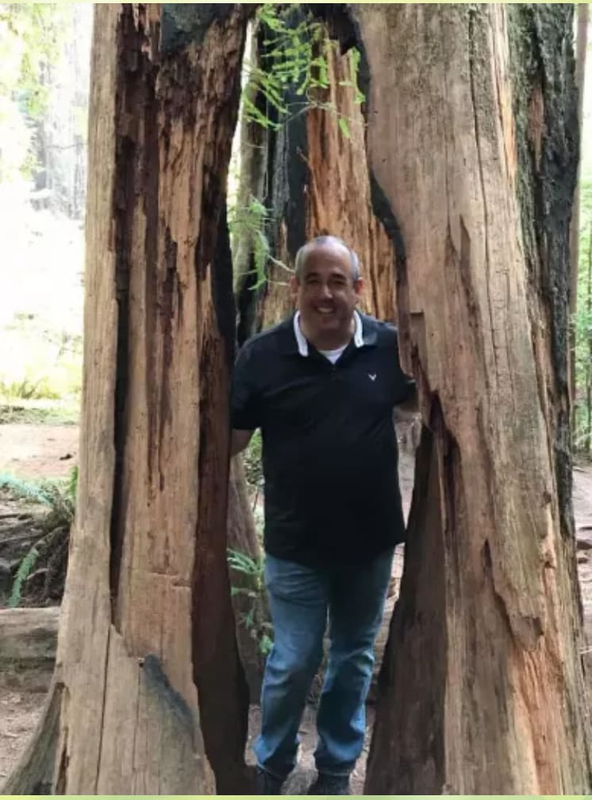 Interests include backyard gardening, DIY home improvement projects, hiking, camping, exploring new cafes, restaurants, visiting wineries, and traveling with family. Jim has spent the last 16 years managing his own portfolio of investment properties in Eugene, Oregon. Prior to that, he worked in the insurance industry handling property and liability claims. He is excited for a career change and learning more about senior living. Jim is a graduate of Oregon State University where he completed a degree in Communications. While in college he spent a year in Sydney, Australia on an exchange program that gave him the travel bug. He enjoys spending time with his wife, Julie and children, Jack and Jamie traveling, camping, and hiking. Jonathan joins the Compass team providing our community teams with friendly technical support. Prior to joining Compass, Jonathan has provided IT support for a local nonprofit, and served as a Team Leader in the U.S. Army Signal Corps where he earned 3 Army Accomodation Medals. Although new to Senior Living, Jonathan was once a volunteer who brought Morale Dogs into local assisted living communities, sharing uplifting experiences for everyone! Jonathan is also a volunteer at Food For Lane County and the Egan Warming Center when temperatures dip below freezing. Jonathan loves exploring the great state of Oregon with his best friend Louisburg, an Australian Shepherd. They enjoy hiking, snowshoeing, visiting the beach and watching live music at outdoor, dog-friendly venues. Jonathan believes that this world gives you back what you put into it, and if you strive to be a good person, day to day, that you will experience good things. Tina has worked in the graphic design, marketing, and printing industry since 1991. She earned an Associate of Arts Degree in Art & Graphic Design from Southwestern Illinois College and went on to earn her Bachelor of Arts degree in Visual Communications/Graphic Design from Southern Illinois University at Carbondale. 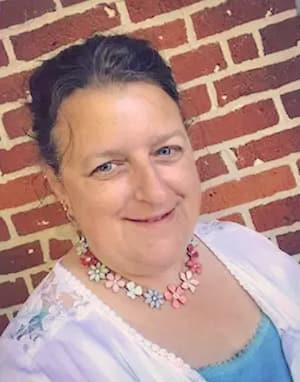 Tina has many passions. . .from enjoying many forms of arts & crafts, like crocheting, sewing, lace-making, and quilting to name a few, to DIY projects of all kinds, exploring small towns to learn their history, and helping out with the family sheep farm. But her greatest passion of all are her two boys, Evan and Eli. She enjoys the country life in the community where she grew up in southwestern Illinois. Tina’s family all live within 4 miles of each other. She is also a lover of what she calls ‘isms’. . .those inspirational sayings that always seem to make their presence known at just the right time. • you reap what you sow. • you are the master of your own destiny. • your life is your story, write well and edit often. • that when writing the story of your life, don’t hand the pen to someone else. • that if the plan doesn’t work, change the plan but never the goal. • it is not always about the destination, sometimes it is about the journey. • it’s never or now. Seek your crescendo. Age loudly. Live intensely. 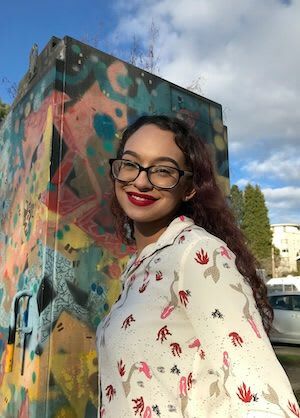 Growing up around a telecommunications company within her family’s business, Samantha decided to pursue a career and became fascinated by marketing, advertising, and social media. She holds a bachelor’s degree in business marketing. As a student of life, Samantha is constantly motivated to learn and excel while keeping up with the digital marketing world to design, create, and deliver support. Making people feel understood and cared for is what sparks joy for Samantha. 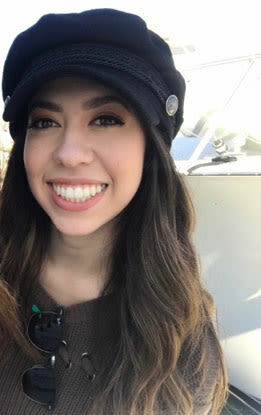 She lives in California and in her free time she enjoys running, photography, playing piano, going to the cinema, traveling and spending time with those she cares about. Frankie has an Associate’s degree in Accounting, is a licensed tax preparer and loves working with numbers. She is new to senior living, but brings great skills to the team. She worked as an office manager at a local manufacturing company for 17 years with a focus on the accounts payables, accounts receivables, and sales and shipping logistics. As a young child, Frankie and her sisters decided it would be nice to go to a local nursing home and sing Christmas songs to the seniors living there. She remembers how happy it made them. Frankie is so excited to be part of a company so caring and genuine. Frankie has lived in the Eugene area since 1984 and now has two children—one boy and one girl. She is a “big time” animal lover and has five cats and one dog. She’s raised money for the local animal shelter through her participation in their annual run/walk Bark in the Park. She bikes, camps, enjoys movies and spending time with her family. Her favorite quote is probably also Tracktown’s favorite: Just do it! Susan is no stranger to working in great detail--combing through numbers for accuracy and enjoying the satisfaction of making it all balance. She is relatively new to senior living, but not to the love, wisdom, and sharing of life stories that come from being around elders. 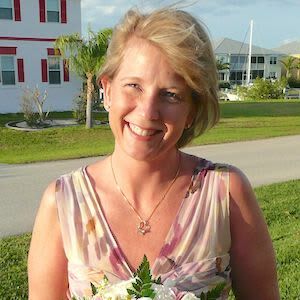 Prior to joining Compass, Susan worked for a company that managed contractors. When you have an insurance claim and need help for repair, you might have benefited from Susan's work as an office manager, Maryland and Virginia contractor manager, assistant to the President and HR, as well as special projects. Susan is excited to be working with great people and was attracted to the small, family-like feel of the Compass team. 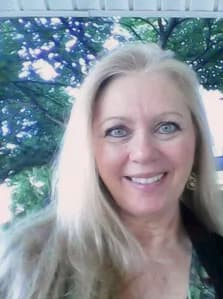 Susan can be found spending her off-time playing games, coloring elaborate pictures, or watching movies with her family and friends; loving on her two dogs Buddy and River; or tending to her "farm" of chickens, ducks, and a big garden. She's spending time volunteering for the Ronald McDonald House in San Francisco and hopes to be involved in the annual Ronald McDonald House walk here in Eugene. She's always told her kids to treat people the way you wan to be treated and to work on today. Because, today is a gift--that's why we call it the "present". 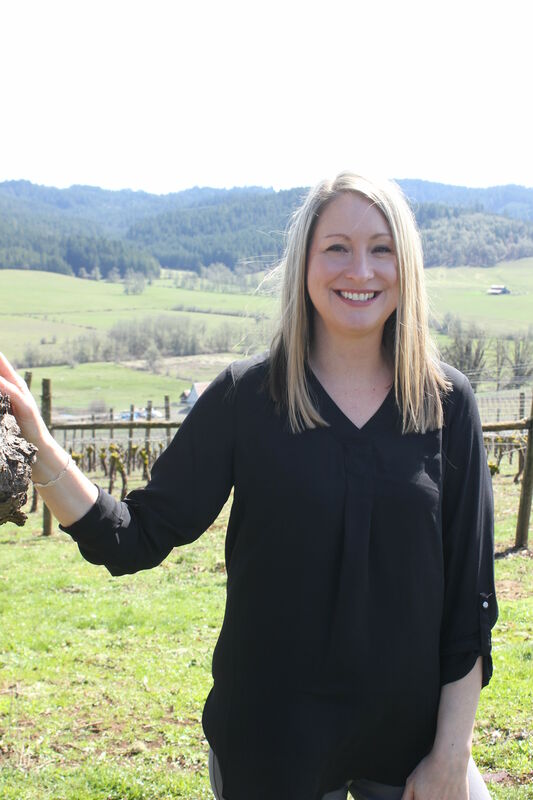 In addition to serving on the Compass staff as an AR/AP specialist, Michelle and her husband have owned and operated local Eugene businesses over the last 20 years, where she has honed her time management skills and ability to be flexible. Although new to Senior Housing, Michelle has volunteered with seniors in the past and loves hearing the life stories of our elder residents. Michelle also volunteers at her church, Faith Center and the Elks Club, and enjoys spending time with her husband, 2 sons and 2 daughters. She considers motherhood as her most special accomplishment and that she feels blessed to be a mom to her favorite people. Tracy recently moved to Eugene from Austin, Texas with her dog, Corazon, to be closer to her aging parents. New to senior living, she brings her love of working with numbers and years of experience with the US Department of Housing of Urban Development working with FEMA. and in bookkeeping and the banking industry. Tracy is especially interested in travel but is not a tourist. Having visited over 10 countries in 5 continents, she seeks to immerse herself in new cultures, live like the locals and experience their food and music. Favorite trips include London, South America, the beauty of Italy and the far-reaching US Territory of Palau. Like any good Austinite, Tracy enjoys discovering new music when not globetrotting, and sharing what she’s listening to with family and friends. Currently she loves exploring her new home state of Oregon and having breakfast with her parents at their home in a senior living community. Heather Goodpasture, Payroll Specialist, has a knack and a passion for helping others understand payroll and the complicated procedures behind it. She is new to senior living but not elders—she has had relatives live in communities and experience performing at them with a community band and has enjoyed seeing the joy music brings elders. Heather has her BS in Marketing and Management from the University of Oregon. Heather moved back to the area with her husband, Reed, where they will live and work her father-in-law’s filbert farm. She loves to garden—and has great plans for their property—and enjoys jogging with her dog, Danni. 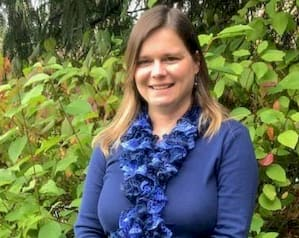 You’ll be able to find Heather volunteering with her son’s high school band and playing the flute with the UO Alumni band at events around town. Heather really connects with Compass’ philosophy and core values. She believes family is true. 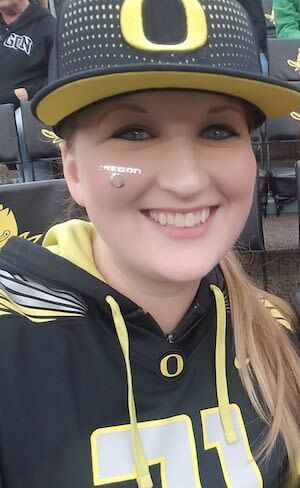 She is happy to be closer to her family in Roseburg and her daughter who is attending the U of O. Heather also enjoys every moment she gets to spend with her kids in the Portland area. She believes it is essential to dedicate even more awareness to relationships to those you love—your family. Life-long Eugene resident Vanessa Terry joins the Compass team as a payroll specialist after a decade of senior living management payroll. A detail-oriented lover of mathematics and Excel, Vanessa holds a FPC from the American Payroll Association. She’s a reformed Batman memorabilia collector, likes cheering on her favorite football team (go ducks! ), hosts game nights, attends stand-up comedy shows, plays and concerts, and can be found cruising around in her well-loved Volkswagen, Bruce (see, Batman). Vanessa loves the caring hearts of the Compass communities, and is thrilled to be “back” working in senior living. Lorraine started her career in senior housing in 2006 as the Accounting Manager for Garden Place Senior Living. She has always enjoyed numbers, but that wasn’t enough. She wanted a job where she could interact with the employees—which is how she got started in Human Resources. Lorraine has her degree in Accounting, of which she is very proud of achieving while she was raising two sons and going to night school. Her favorite part of senior living is the residents. She loves talking to them and hearing their stories. Jeanette lives in Waterloo Illinois, just outside of St. Louis Missouri. At 18 she started doing payroll and bookkeeping for an Insurance Agency in St. Louis, while going to school at night. Jeanette began working in Senior Living in 2012, where her love of people and desire to always be challenged finally came together. 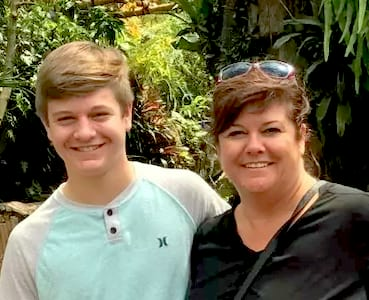 Jeanette and her husband Ryan can be found out and about at many of the local sporting events, but what they love most is cheering their son Jake on at his Football and Basketball games. Spending time with family and friends is truly what makes Jeanette happy in life. She believes that honest hearts produce honest actions and that is why Compass Senior living is such a good fit.